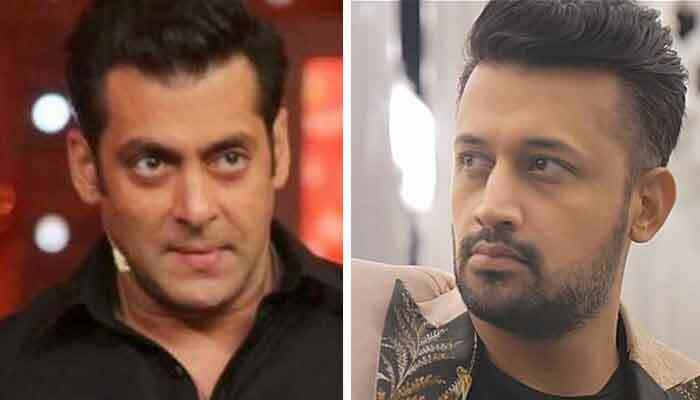 MUMBAI: Day after the All India Cine Workers Association announced a blanket ban on Pakistani artistes working in the Indian film industry, Salman Khan reportedly asked his production house to replace Atif Aslam, who was roped in to sing a song in 'Notebook'. According to reports, the song, Pakistani artist sang for the film, will again be recorded with a new singer. While there's no official announcement made by anyone associated with the production. The decision came after some of the Hindu extremists voiced to ban Pakistani artists in the Indian film industry after the Pulwama attack. Earlier, AICWA announced a total ban on Pakistani Actors and Artists working in Film Industry. Still, if any organisation insist on working with Pakistani Artists will be banned by AICWA and strong action will be taken against them. Meanwhile, Salman's 'Notebook' will mark the debut of Pranutan Bahl and Zaheer Iqbal in Bollywood.